Cartwheel by Target has just acquired a new feature that’s in testing phase. The app, which is available to iOS and Android users will now essentially enable users to obtain digital coupons from inside the app. Users will in turn save money on products they purchases from the department store. The app offers shoppers a variety of discounts for anything from clothing, movies and electronics. Additionally, the shopper can also obtain dollar discount amounts. For example, a coupon from within the app may give a user $.50 off a box of cereal. Cartwheel’s percent off discounts may be used multiple times for as long as the deal is active, however the digital manufacturer coupon can only be used once. Recently Target announced that users have saved more than $475 million in total with Cartwheel since the release of the app in 2013. 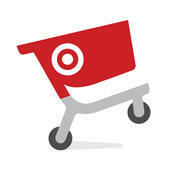 Cartwheel enables users to browse deals using text, or by scanning product barcodes. To obtain the discount at the stores, users must show the Cartwheel barcode during checkout. Cartwheel is available for a free download from the iTunes App Store and Google Play.